The trend for more reasonably-priced 4K TVs continues as Sharp has just unveiled the world's first THX-certified ultra HD set – and the price isn't completely bonkers. The 70-inch Aquos Ultra has been announced at the US price of $8,000 (about £5,210, AU$8,620), which is less than Sony's recently-announced 55-inch Bravia X9. The company told TechRadar there's no European release date or price to speak of for the time being, but we'll let you know when that changes. Currently it's set to hit the US mid-August. However the USP isn't so much the price as the experience you'll be getting, as Sharp highlights this as the first THX-certified 4K set on the market, coming with pre-calibrated THX Movie viewing modes. Sharp said that it put the television through "four hundred rigorous performance tests" to make sure it deserved the THX title. 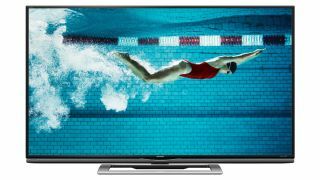 As well as its 3840 x 2160 pixel display, the TV can also upscale HD content for 4K viewing using its dual-core signal processor. It also has a dual subwoofer system offering 35 watts of output, as well as passive 3D. Meanwhile, you'll be able to change channels or stream from your smartphone using the Beam app.